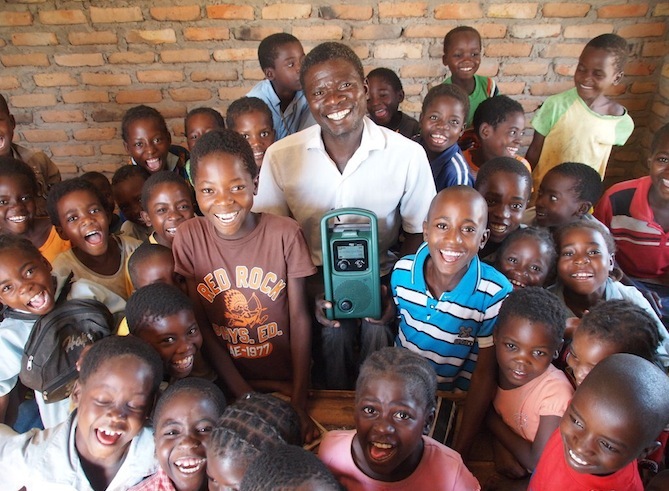 Photo caption: Lifeplayers from Lifeline Energy provide radio-based education to children in Zambia. Photo Credit: Lifeline Energy. Today is World Radio Day, a day to celebrate radio and encourage major networks and community radio alike to promote access to information, freedom of expression and gender equality over the airwaves. I’ve always loved radio. For me it’s held a mix of nostalgia and discovery – I remember long drives with my dad listening to “oldies” or learning something new from my favorite public radio broadcaster. My brief stint at a public radio station in college only grew my love of radio and made me appreciate the unique place radio has in people’s lives. Radio has been there to tell stories, give advice (thanks Delilah!) and provide entertainment. But for millions of people in developing countries, the radio is much more than that: it’s a low-cost way to bring information to remote communities and vulnerable people like those who can’t read, those with disabilities, and those who live under $1.25 a day. Radios can run on solar or battery energy, and radio programs are also easy and cheap to create. 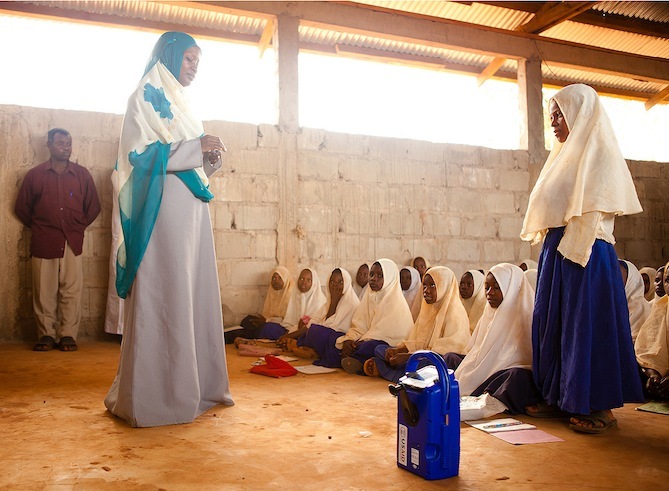 When USAID found out that 20% of children in Tanzania still did not have access to primary education, they created the Radio Instruction to Strengthen Education programme, which creates educational radio programs to improve teaching and learning for remote and under-served communities. In 2011, 21,350 children in preschool were able to improve their math, Kiswahili and life skills from the radio programming. 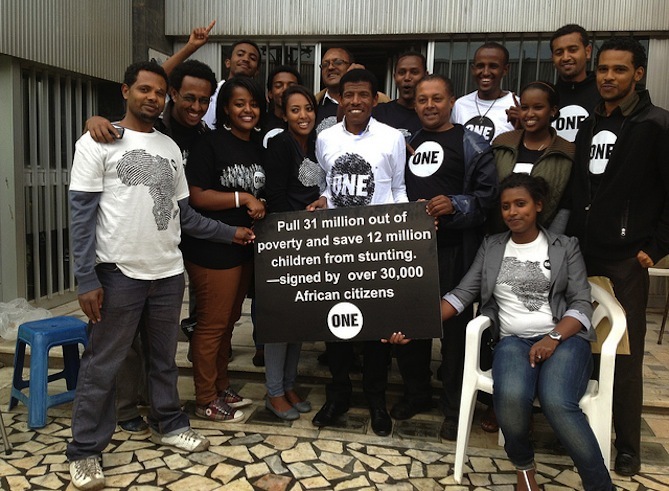 In 2012, ONE launched a radio spot to get citizens in Malawi to support an agriculture petition targeted to the African Union. With the help of African jazz legend Hugh Masekela, the message reached millions of people – and we were able to get 35,000 signers on our petition. 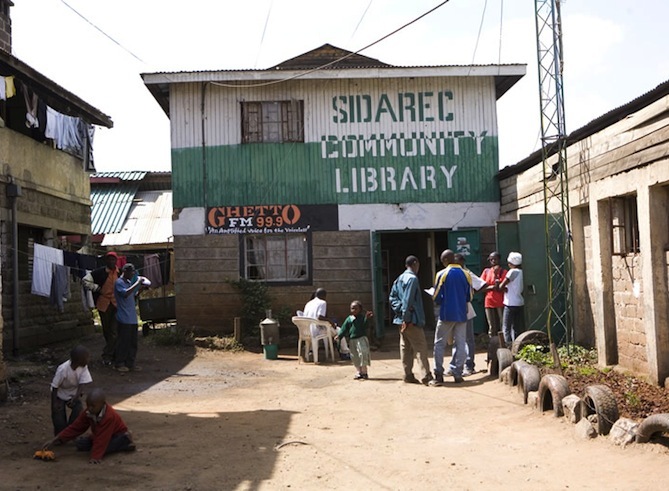 A Kenyan NGO created an internet technology centre in the Mukuru slum settlement of Nairobi to put the power of radio programming in the hands of the community. The station, 99.9 Ghetto FM, reaches more than 650,000 local residents and addresses the needs of the young people living in the Mukuru. 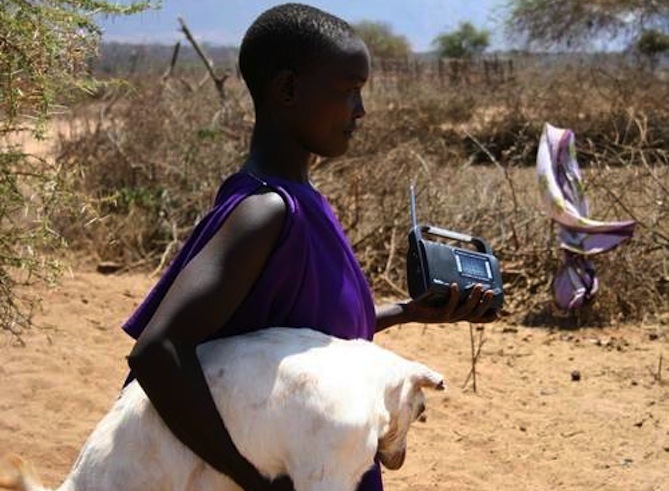 Photo caption: Maasai girl holds a solar/wind radio in Tanzania. Photo credit: Yusuph Al-Amin/UNESCO. UNESCO is working with female radio professionals from across Africa to build the capacity of 32 local radios in 7 African countries. The goal is to improve the lives of poor people, especially women and girls by helping to create higher quality programming. This also means getting more women trained and on the air! 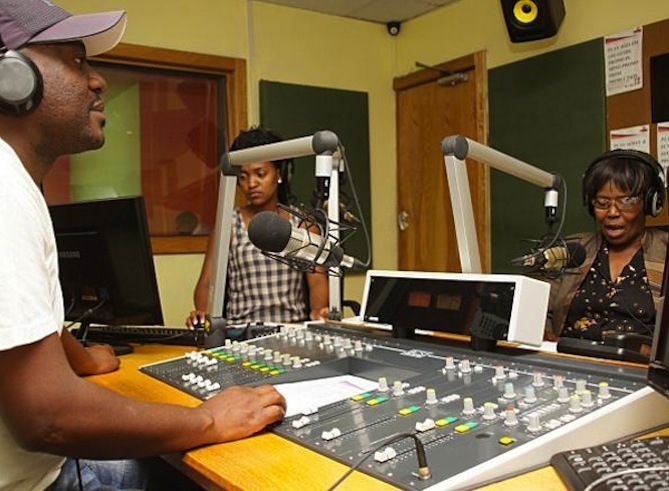 Photo caption: Jozi FM, South Africa’s largest station, covers issues of health, agriculture, and vulnerable children. Photo credit: UNESCO.